Came out really cute Valerie, great choice! 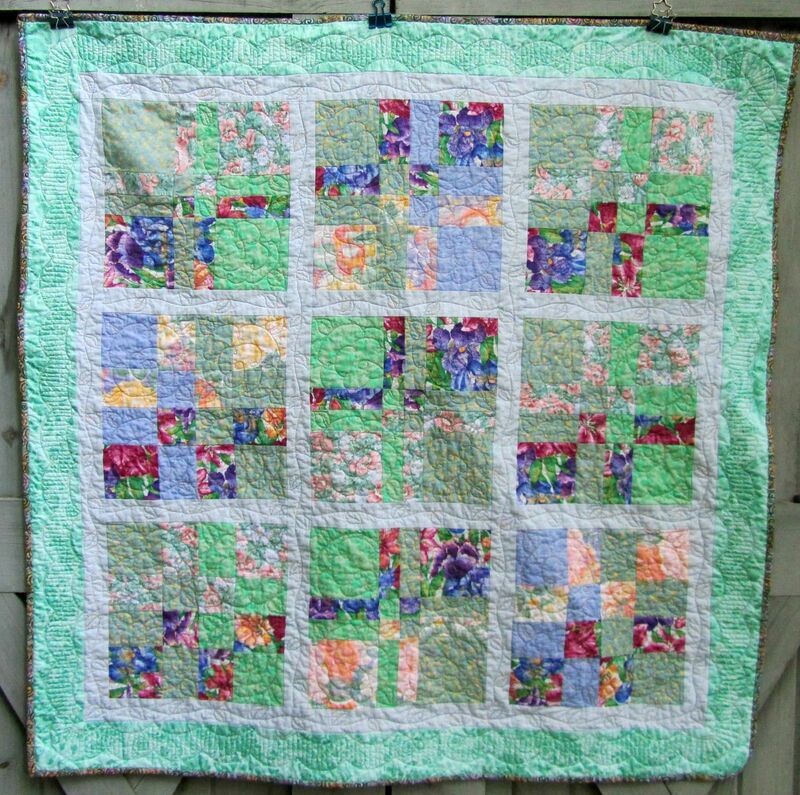 Such a darling quilt. It’s the colors that do it for me. You will be blessed for your loving and caring efforts. 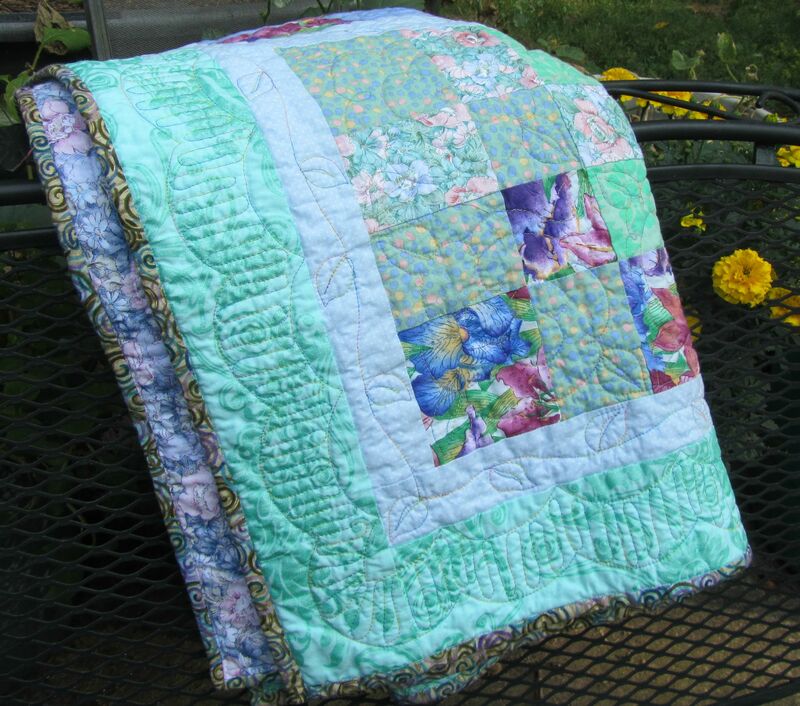 What a sweet quilt! You definitely made the right choice with the pale sashing. 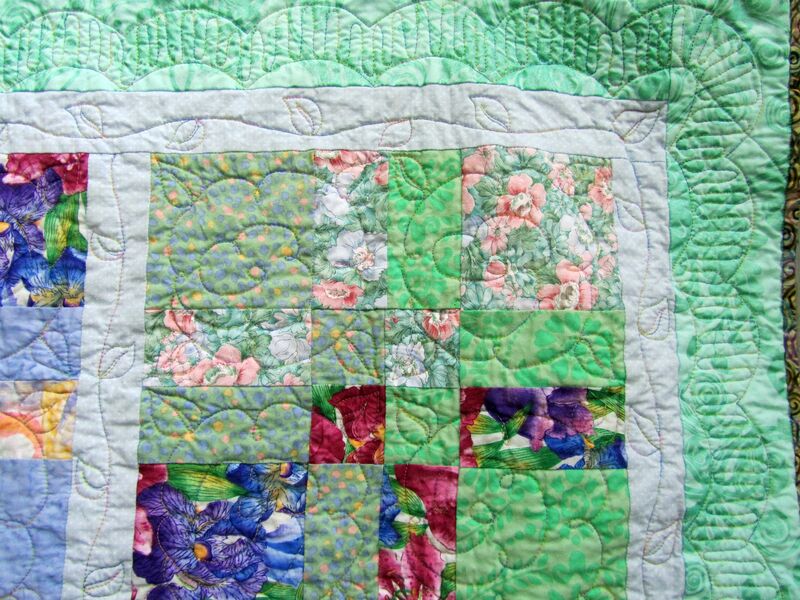 The colours are lovely and fresh, and the quilting is wonderful. 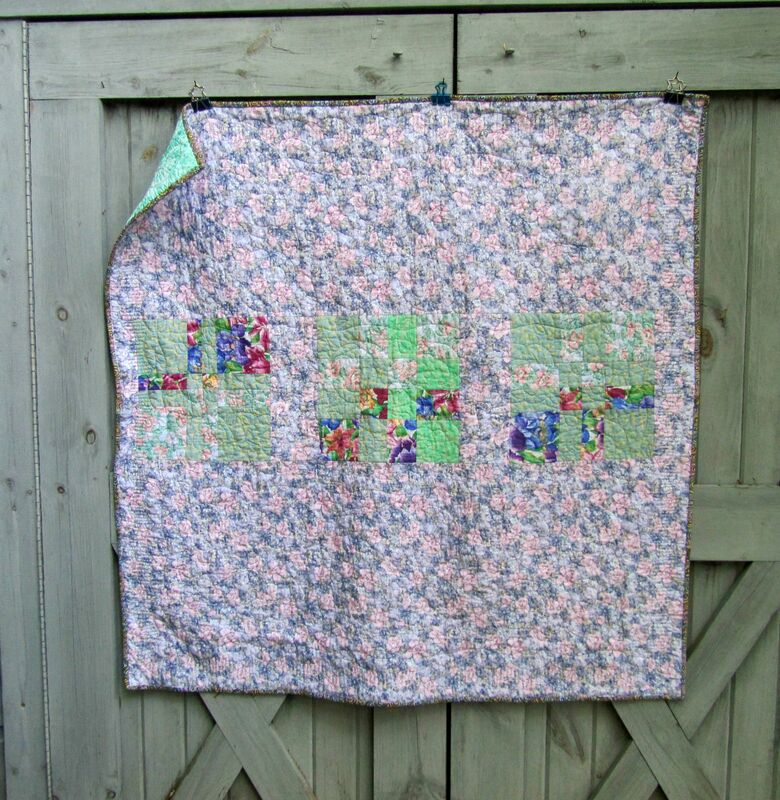 Would you like to link up with Free Motion Mavericks on my blog? 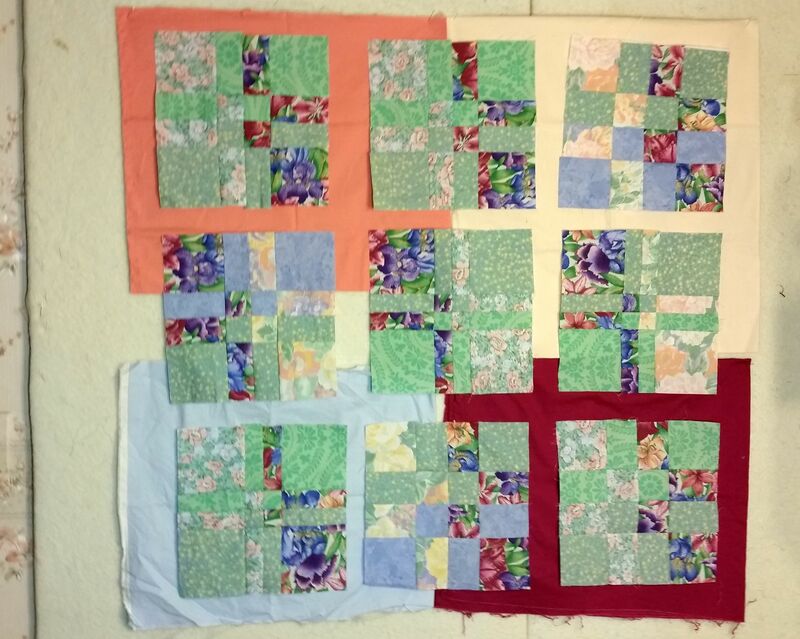 Hi Valerie, I really like the way the blocks came out with the sashing. 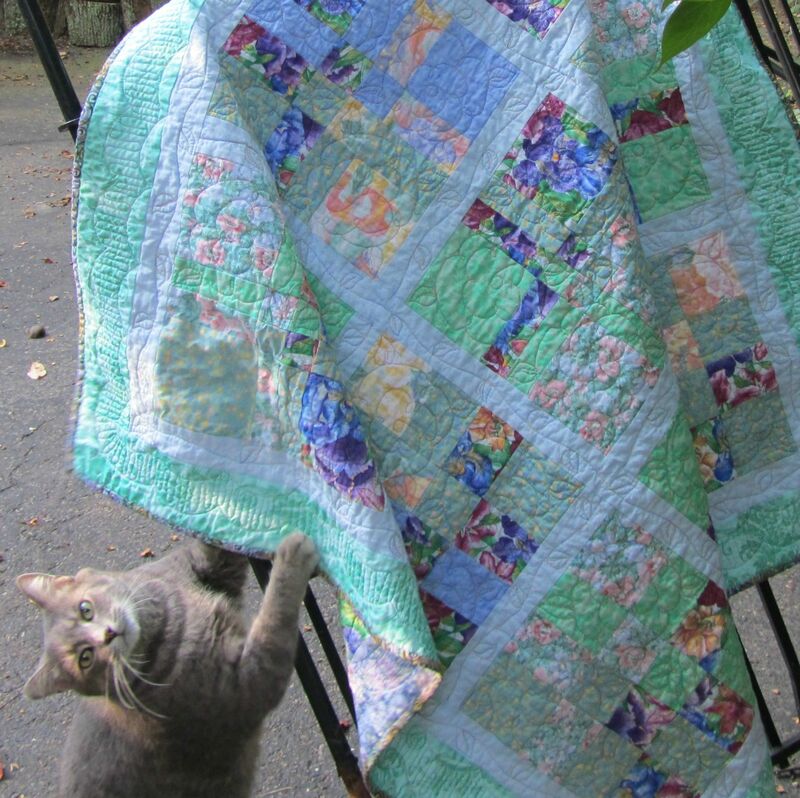 It’s very effective for a baby quilt. It’s great to see the colours your auditioned for the sashing. I’m always amazed at the difference colour makes. Thanks for sharing.